Welcome to Louis de Geer Concert & Congress Hall, beautifully situated in the unique, historical industrial landscape of Norrköping. 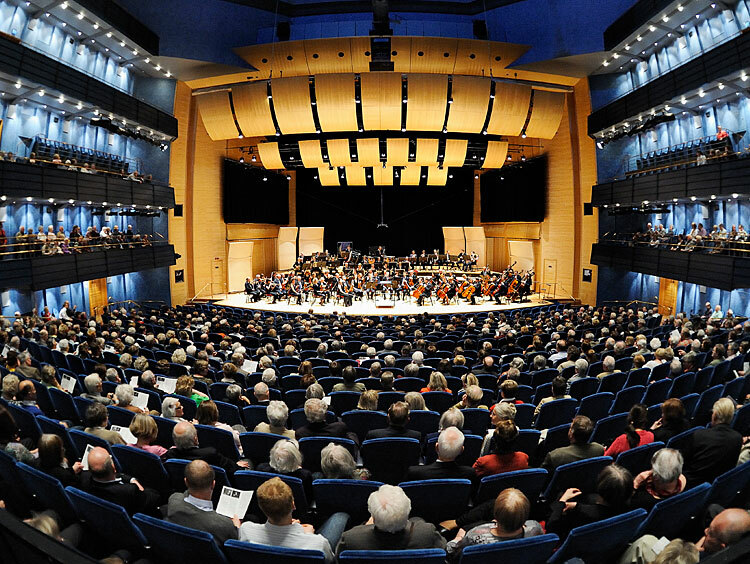 The Norrköping Symphony Orchestra is the resident orchestra of the Louis De Geer Concert Hall. 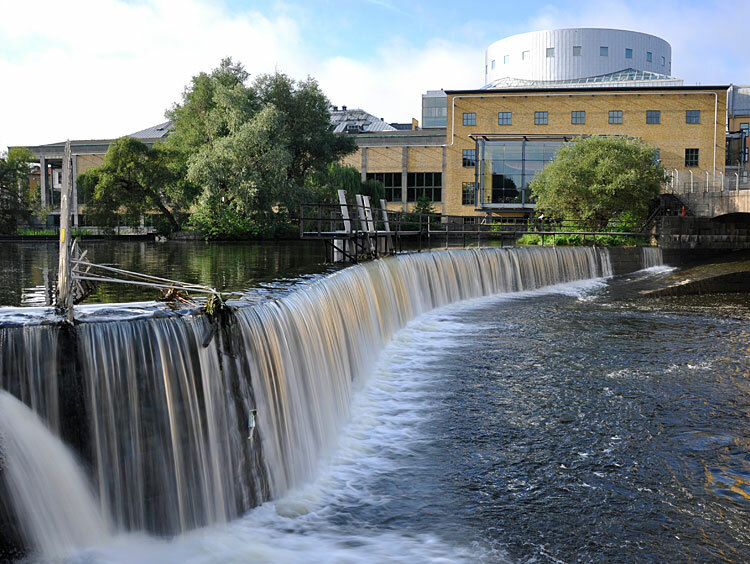 The hall is located in the very center of Norrköping right next to the Motala River and in the middle of the unique, historical industrial landscape. The concert hall is built in an old paper factory originally designed by the creator of Stockholm’s Concert House, Ivar Tengbom. In 1994 it was renovated into a first-class concert hall and conference center. The spacious foyer offers grand views towards the flowing water outside. There is a bistro which is open daily for lunch as well as in connection to all the concerts. The concert hall itself has 1 300 seats. Since the audience is divided into parquet seating and three balconies, the hall has a very intimate atmosphere with only a very short distance between the orchestra and the audience. The stage also includes an orchestra pit with room for 60 musicians, which opens up possibilities for all sorts of productions. The Louis de Geer Concert Hall, stage. The Louis de Geer Concet Hall, exterior.